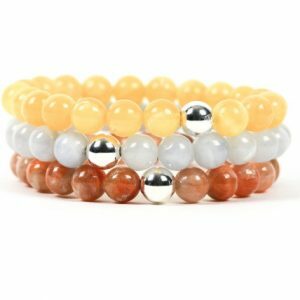 Shop genuine healing calcite bracelets, including the popular stretch beaded stone bracelets. 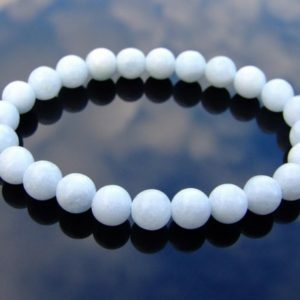 Calcite Bracelet Meaning There are many varieties of calcite, and each has specific properties. In general, calcite is gentle and revitalizing and works to clear energy blockages in the body's energy systems. Pictured is orange calcite, which works with the 2nd and 3rd chakras, healing and giving energy toward creativity, sexuality, and the will. You can match the color of calcite to the chakra it works with: Blue = Throat, Green & Pink = Heart, Red = Root. Visit Calcite Meaning & Properties for more about the benefits of calcite. 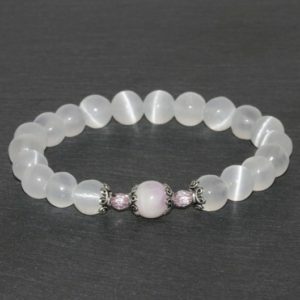 Calcite Macrame Bracelet. Boho Chick. Unique Gift. Gift Ideas. Healing Crystals. Natural Stones. Made with love. Calcite crystal. 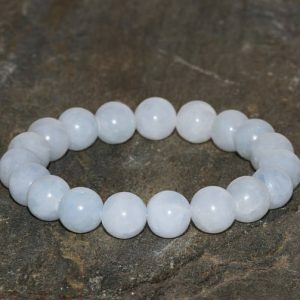 Thank you for shopping for Calcite Bracelets! Calcite healing properties include: anxiety & depression, creativity & inspiration, joy, nurturing, vitality. 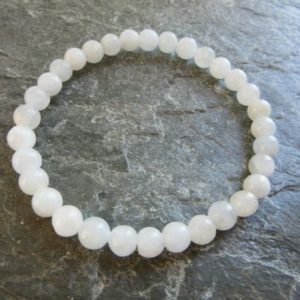 We have scoured Etsy to find the best genuine calcite bracelets. We look for handcrafted & handmade, unique, OOAK, & high quality natural gemstones.